I’ve had a set of cheap water colors sitting around to use with my dip pen, but never really figured out how to do so… but after a couple more attempts, I figured it out. Also it discovered that jabbing your brush in a green circle looks passably like a wreath! 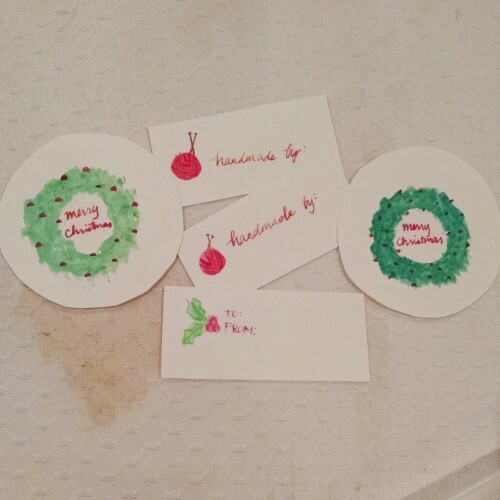 This entry was posted in crafting and tagged diy, watercolor on December 26, 2014 by me. 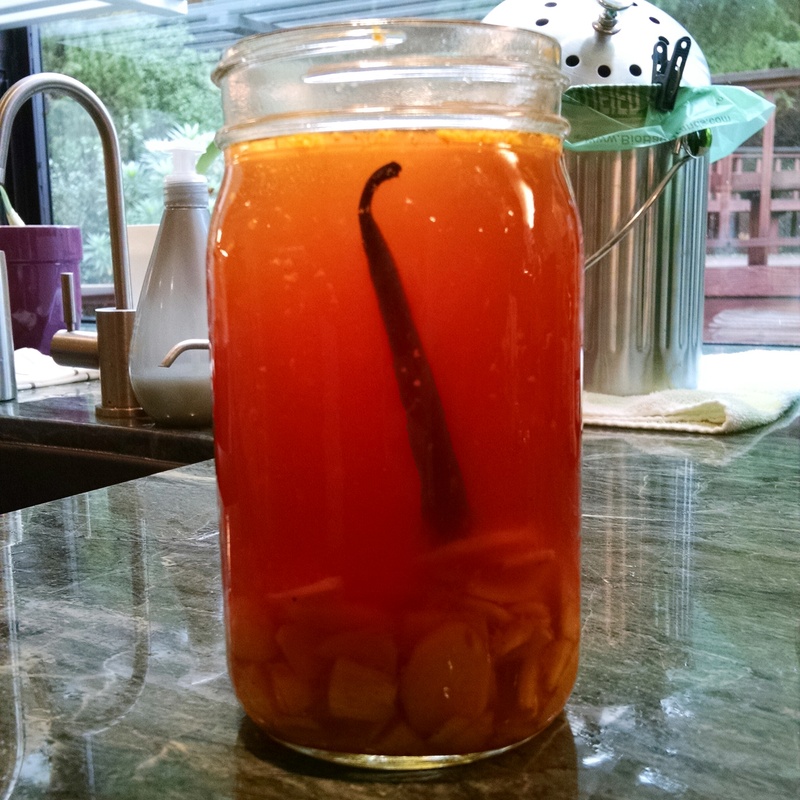 And my ginger liqueur is steeping! It’ll be done in time for Christmas. This entry was posted in food and tagged diy, recipe on December 22, 2014 by me. I got pretty good at regular updating… Then failed. Apparently when I knit, I don’t blog. This entry was posted in crafting and tagged diy, hats, knitting on December 17, 2014 by me. My first attempt at color work! Woo. 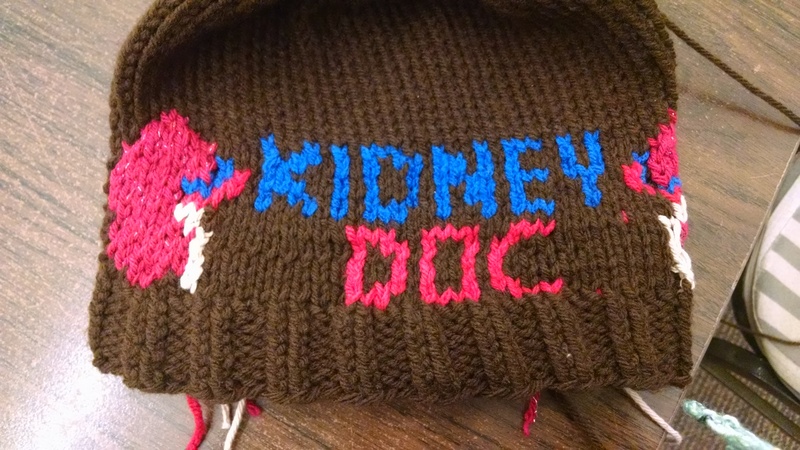 The hat every nephrologist dreams of. Not really. This entry was posted in crafting and tagged diy, hats, knitting on December 4, 2014 by me.